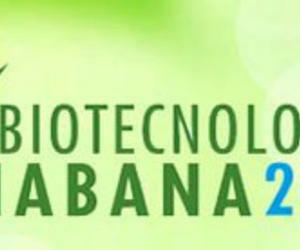 The International Congress Biotechnology Havana 2014 opened on Monday in this capital, under the slogan "Agro-Biotechnology for Food Sustainability" is arriving to an end. This December 3 held its penultimate day dedicated to the genetic control of insect vectors. On this subject the British professor Luke Alphey, scientist in Pirbright Institute in the UK, will make a presentation explaining the details of how genetic engineering can help eliminate different vectors, including the dengue mosquito. For its part, the American professor Frederick Ausubel, School of Medicine, Harvard University, initiate discussions on identifying the response mode of novel pathogen Arabidopsis. Also Wednesday continue the sessions of the Symposium on Modern Biotechnology for Animal Health, one of the six events held parallel to the Congress manner. On the subject, the prominent Belgian scientist Marc Van Montagu said yesterday that in a world inhabited by nine thousand 500 million people are needed to produce more food, fiber and biofuels. However, the specialist, pioneer in molecular biology in plants, warned that the increase in production should be done without increasing the amount of land to cultivate, nor the volume of fossil fuels. In addition, the seeds must be resistant to new bacteria that hit different crops, hence the importance of promoting biotechnology closely linked to agriculture, sentenced Montagu.